There are so many things that we are told that we should do for our body’s health – eat right, exercise, destress – but we are rarely told what we should do for our brain’s health. It turns out that the things we do for our body also support our brain. Certain diet and lifestyle choices can have a positive effect on brain aging. Read on to find out what you can do, or may already be doing, to protect your brain. Exercise is not just great for your body, it also supercharges your brain and can help delay symptoms of age-related cognitive decline. I worked in a neurogenesis lab (neurogenesis is the growth of new neurons, and yes it can happen even in adult brains). The main way we’d get rats to grow new neurons is simply by putting them on a running wheel- in other words- have them exercise. Exercise can generate new neurons. It also upregulates BDNF (Brain Derived Neurotrophic Factor) which helps your neuronal processes (your axons and dendrites) make new connections in the brain. Everyone has always told you to eat your vegetables, and it turns out they were right! A diet rich in colourful vegetables is naturally high in antioxidants and compounds that help to grow and protect your brain. Blueberries, for example, are high in brain-supportive polyphenols. The source of your food matters. Wild blueberries, for example, can contain up to 10X more polyphenols than regular blueberries. An anti-inflammatory diet is also key. Inflammation can lead to negative consequences in your brain. The “mediterranean” diet – which is high in vegetables, with a modest amount of meat, no fried foods and anti-inflammatory olive oil – is a good example of a brain-supporting diet. Our brain tissue is made up of a significant amount of fat, and keeping that fat optimal requires regularly ingesting healthy fats such as nuts, olive oil and avocados. The DHA found in Omega 3 fatty acids is particularly helpful for the brain. The myelin sheaths that wrap around your axons are made up of DHA, and since our bodies can’t produce DHA, we need to consume it from an external source. For a vegetarian, Algae is a reasonable source of DHA, and for pescatarians oily fish like mackerel and herring are good sources. Meditation has been shown to improve your brain’s health in myriad ways. First off, a regular meditation practice teaches you to master your negative thoughts, so you are able to change your relationship to those thoughts that trigger anxiety and depression, or just plain old stress, and live more freely. As you age, you become more vulnerable to anxiety and depression as well, so starting early with techniques to manage your mind is really helpful. Secondly, negative thoughts actually lead to cellular again. We know this because of the groundbreaking work of nobel-prize-winning scientist Elizabeth Blackburn. Negative thoughts actually affect our cellular environment, causing an increase in oxyradicals and factors that lead to cellular aging. Meditation can reverse some of that process. Blackburn looked at the telomeres –the protective caps on our DNA– of individuals who meditated and those that didn’t, and demonstrated that meditators had more telomerase activity, and therefore better protective caps on their DNA. Meditation also has a direct impact on multiple regions of your brain. Meditating regularly can help you strengthen your brain, and actually changes your brain. For example, meditation can keep your prefrontal cortex strong. Your prefrontal cortex is the higher order processing center of your brain, responsible for planning, organising, evaluating and overriding your more base needs. As you age, your prefrontal cortex thins. Dr Sara Lazar of Harvard showed that having a long term meditation practice can help you maintain the thickness of your prefrontal cortex – even as you age! Dr Lazar also showed that an 8-week meditation course can increase the density of your grey matter! That’s a very good thing. Meditation has also been shown to downregulate the amygdala (your fight-or-flight center), increase your insula (awareness of bodily sensation), increase activity at your temporal parietal junction (the area of your brain responsible for empathy and perspective), and strengthen the corpus callosum (the connection between your two hemispheres)! There are many more things you can do to strengthen and protect your brain as you age. To learn more about how the brain works, follow Ariel Garten (arielgarten.com) on Instagram (ariel’s_musings on Instagram). Ariel is on the Innovation Advisory board for the Center for Aging and Brain Health Innovation and is an advisor to Retispec, a start-up that is creating an Alzheimer’s early detection tool. 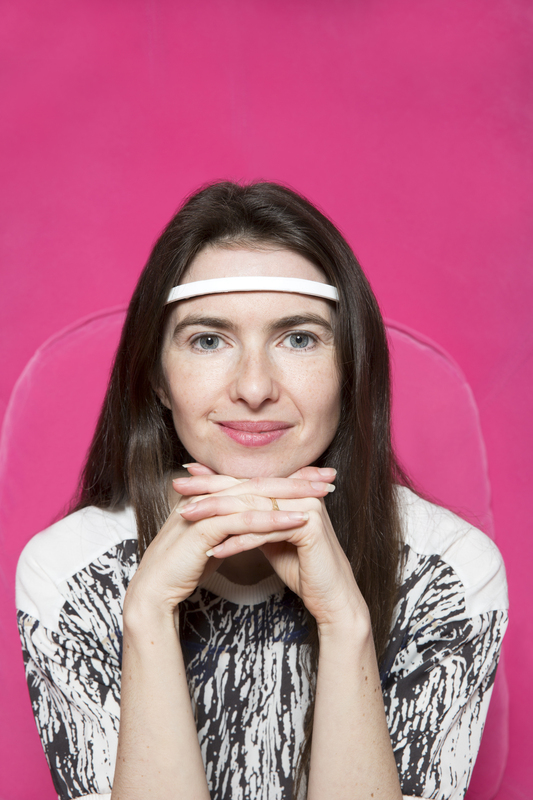 Ariel is also the founder of Muse, the brain sensing headband that helps you meditate. Muse makes meditation easier by giving you real time feedback on your brain’s activity during meditation. Ariel Garten (pictured above) is the founder of Muse, the brain sensing headband to help you meditate.